Anna has lived her entire life not being good enough for her abusive parents and is placed in a mental health facility after threatening suicide and suffering from severe panic attacks. Caleb is a gifted artist, diagnosed as delusional. 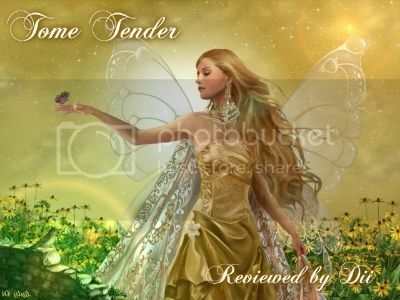 He claims to be angel sent to help Anna fulfill her destiny, which will not happen unless she breaks free of the cycle of abuse from her parents. Both are desperately alone, Anna, starved for positive attention find Caleb's art to be beautiful, especially his drawings of her. Together they find strength and purpose, love and completion. Can it last as they face the world together? Are they strong enough to fight their inner demons or will they be torn apart? Meredith Towbin has run full force into the dark world of mental illness, building a bleak world for her characters to live in. Both Anna and Caleb are well-developed, flawed and a little mysterious. If they had strong personalities, they wouldn't be where they were. Their weaknesses become what the reader sees, making them more life-like and believable. Their love and devotion to each other feels like a lifeline that holds their heads above water under extreme situations, giving them the strength to stand up to those outside the cocoon they have created. Ms. Towbin has allowed the reader to become involved and invested in these two characters and their story without spoon feeding an expected response! I like that, it adds to the dark feel, the unknowns about the human mind and heart. 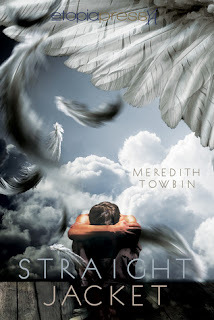 Straightjacket is author Meredith Towbin's debut novel and she is going to be a force to be reckoned with in the literary world!